Home » Philately » Old cover of 1925. Sent from Haida to Basel. Old cover of 1925. Sent from Haida to Basel. Letter Czech Republic to Switzerland. Age envelope, cover of 1925. Sent from Haida to Basel. 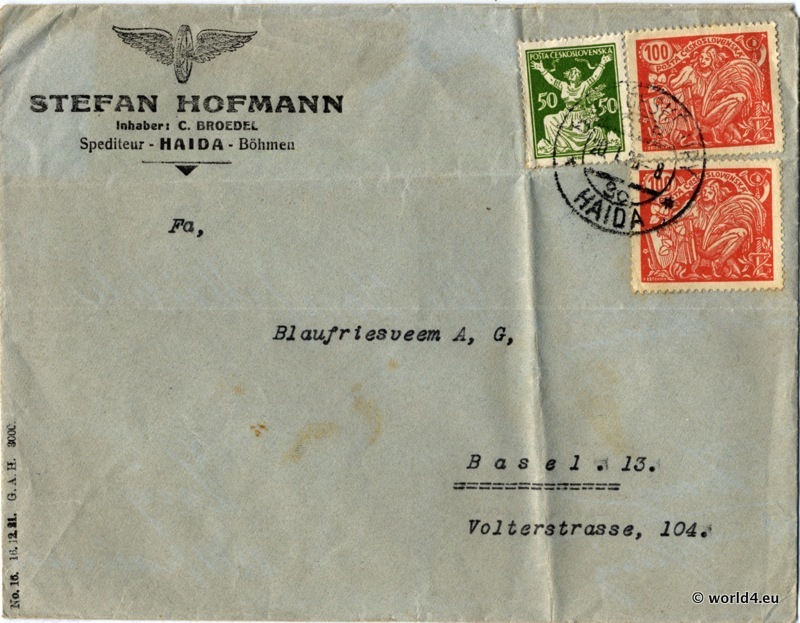 Sent from Haida in the Czech Republic to Basel in Switzerland. 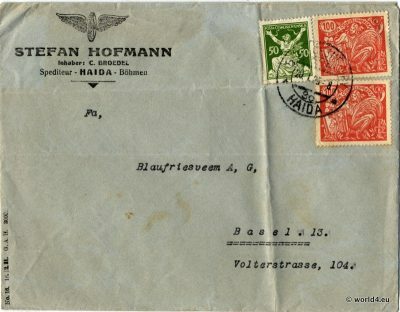 On the cover are several old stamps from Czech Republic with clear postmark, logo of Stefan Hofmann, carrier, Haida Bohemia. Receiver, the company was Blaufriesveem AG, formerly Hediger and Co. transport and warehouse AG.